The Go Association of Thailand in cooperation with C.P. 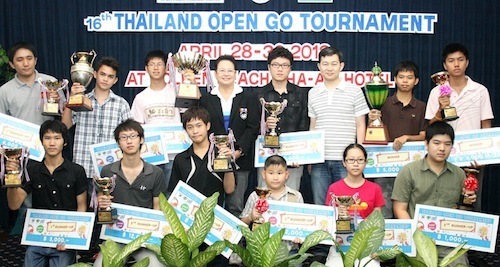 All Public Company Limited held the 16th Thailand Open Go Tournament – 2012 from 28th – 30th April 2012 at the Golden Beach Cha-am Hotel, Petchaburi Province. 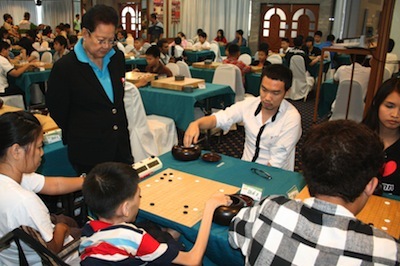 Mr. Suwit Kingkaew, Secretary General of the Go Association of Thailand, presided over the opening ceremony This tournament brought about 160 students and other Thai go players together to enhance their skills and strengthen their relationships with each other. The tournament was divided into four divisions: high dan (3 dan and higher), low dan (1-2 dan), high kyu (1-4 kyu), and low kyu (5-8 kyu). The winner of the high dan division was Krit Jamkachornkiat (4 dan, 16 years old) from Assumption College. 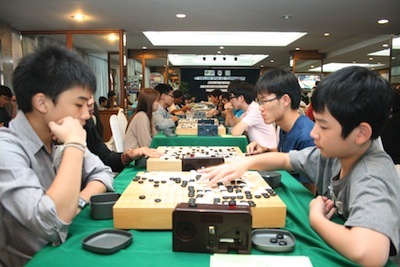 Krit is a familiar winning face in the many tournaments he has participated in. 3rd Place: Teera Rungreungtavipong (4 dan), 18 years old.